If you want to get your content out in the world, you have a lot of choices. You can start a blog, a vlog, a podcast, a newsletter, post articles on LinkedIn or Medium, post Instagram stories, Snapchat snippets of your life, the list goes on. You can succumb to “analysis paralysis”. First of all, when I had to answer that question for myself three years ago, I chose a vlog. One of the main reasons I did is because first and foremost, video can more easily be converted into a podcast, but not vice versa. You can take your audio from a video and turn it into a podcast to repurpose it, but if you do a podcast, you can’t really turn it into a video – other than it being simply audio in a video format. Being able to convert and exponentially repurpose your content effectively across formats – and have it be worthy of that format – is of critical importance as you evaluate your social media real estate investment. If you didn’t realize it already, motion is the future. Video is the new jpeg. The moving image is everything. It is growing and morphing at an astounding rate. This doesn’t even touch on what is happening in the market penetration of AR and VR – and the advancement of those technologies. Google estimates that in three years, 90% of content consumed online is going to be video, so being on the right side of that trend is a smart idea. Additionally, Google owns YouTube. This is significant. Google prioritizes YouTube videos in Google search, so your chances of showing up higher in Google search are greater if you publish video on YouTube than if you do a podcast. I have seen my organic search results on Google improve by 300% in the last 3 years. In fact, if you do a Google image search for the word “Creative Director” my video on the subject is the #1 result. I tell you what, that didn’t happen 3 years ago. Generally, the youth market is a predictor of the ways the general market will be moving over-all, which is why marketers watch it so closely. According to the research firm Ipsos, 85% of young people now use YouTube. They watch more hours of YouTube than broadcast television or cable per week. That is a staggering statistic that shows you which way the wind is blowing. In my case, as a brand strategy and design expert, I had to consider that design is a visual profession. It relies heavily on visual experience and stimuli. The comedian Martin Mull said, “Writing about music is like dancing about architecture.” And in a way, podcasting about design would be similarly ineffective for the most part. Podcasting about design would be removing the entire visual aspect of the topic. Sure, you can talk about design, but unless you can see what you’re talking about, it’s really a challenge. Personally, I just think that podcasting is getting crowded. I know that will make a lot of hairs on people’s necks stand on end. But that’s my perspective. 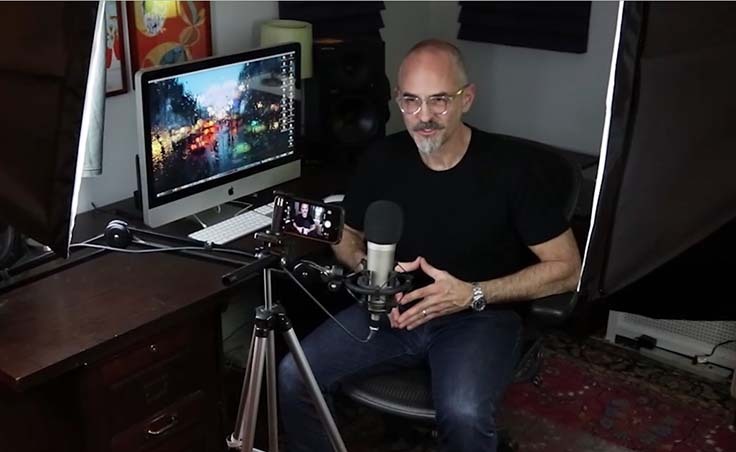 Yes, you can say that vlogging is getting too crowded, but podcasting, to me, feels a lot like Periscope or Snapchat, there’s this buzz about it. I’m not saying it’s a fad. I’m sure it will stand the test of time. But to me, it feels a little overly trendy at the moment. It feels a bit like the real estate bubble. I mean, when you go to get your car fixed and your auto mechanic is talking about starting a podcast, which actually happened to me recently, you know that you might want to raise your antennae a little. Now, nothing against auto mechanics, and you yourself might have a really killer auto mechanic podcast, but I think you get my point. Another thing to keep in mind is vlogging is, in practice, a lot harder to do. This means there’s less competition in it and less competition is always a good thing in business. People have a lot more hesitation to expose themselves on camera than they would with just recording their voice for a podcast. You have to have the equipment, be somewhat presentable, nurture the elevated energy required for an on-screen presence, you have to know how to edit. I mean, a lot of that stuff is also necessary for podcasting, but really when it comes down to it, video is a tougher medium than audio alone. So, if workload and complexity is a major consideration, podcasting is a better bet. 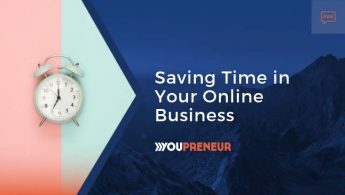 When evaluating the best platform, it is good to take into consideration that people are “time-starved”. People’s calendars are really full, there’s always so much to do, and podcasts are generally longer than video content. So, the time commitment it takes to listen to a podcast is greater than a video in many cases. I try to keep my videos to under nine minutes long because I try to respect my audience’s time, and I know that my viewers have a lot of stuff to do. Attention spans are short and they’re getting shorter all the time, so I try to respect that rather than combat it. I personally also get really annoyed by vloggers that take 15 minutes to get to the freakin’ point and just seem to blather on forever. So, I jump to the meat of the topic immediately and my viewers tell me they love that about my videos. One of the towering strengths of the video medium is how completely it conveys your personal branding. It’s easier to get across your personality and personal brand on a video because people can see what you look like, hear what you sound like, experience your personal presence, see what you like to wear, where you are, and whatever other visuals you choose to show them, be it slides, your computer screen, your office, hell – even your backyard. People connect with people. It’s simply easier to convey who you are as a person in video than it is as a disembodied voice in podcasting. 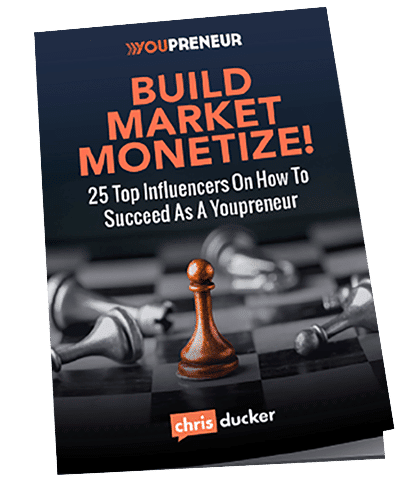 This next point is huge: one of the most important facts to know about video for entrepreneurs is that video watchers are approximately 75% more likely to make a purchase from seeing a video than they are from hearing a podcast. If you’re selling products or trying to sell some sort of service, video is going to serve your business’ bottom line a lot better than podcasting. Sure, there certainly are negatives about video, too. One downside is that you actually have to be watching it in order to fully consume it. It’s a little tougher to consume a video while you’re driving or while you’re walking your dog. My analytics say 65% of my videos are consumed on a phone, so people are out and about and mobile anyway, so it’s not really that much of a deterrent anymore. 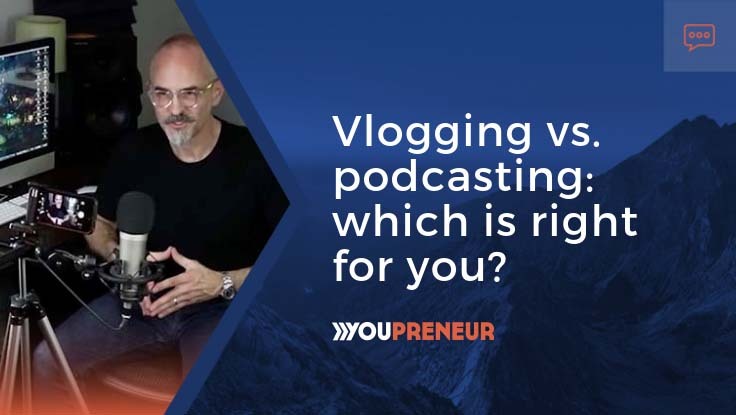 In the end, when it comes down to it, the difference between vlogging and podcasting is the difference between whether you want to be on TV or whether you want to be on radio. Personally, I’d rather be on TV. If you’d like to see me and hear me – and not just read me – please visit my YouTube channel and subscribe. 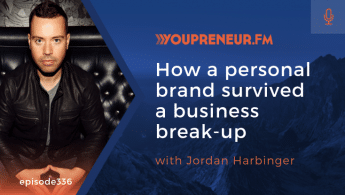 You’ll join over 138k other entrepreneurs and creative professionals who follow my content on branding, design and business. You can also subscribe to my newsletter, it comes out every two weeks and I share resources and insights and trends and articles on branding and graphic design. 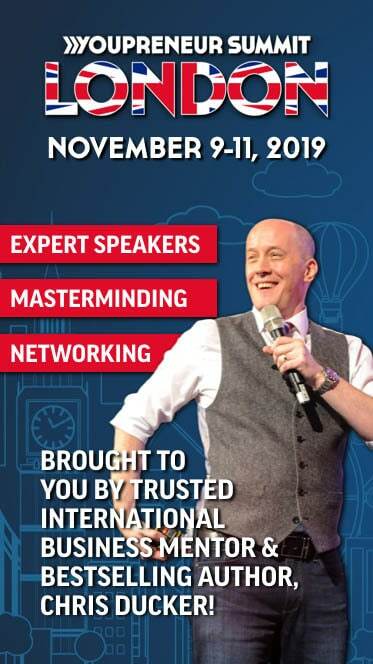 Hope to see you vlogging – or hear you podcasting soon! 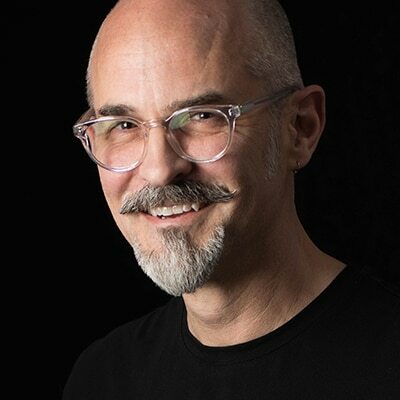 Philip VanDusen is a creative thought leader and principal of Verhaal Brand Design an agency that specializes in leveraging brand strategy and design to build immortal brands for companies and entrepreneurs. Get more from Philip in his newsletter brand•muse, his YouTube channel or connect with Verhaal Brand Design on Facebook.